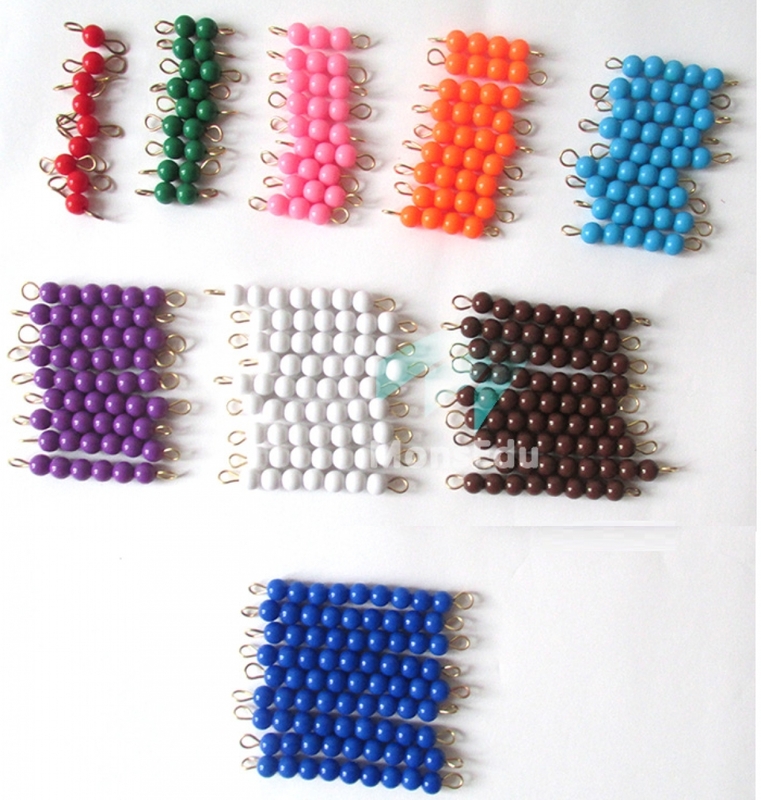 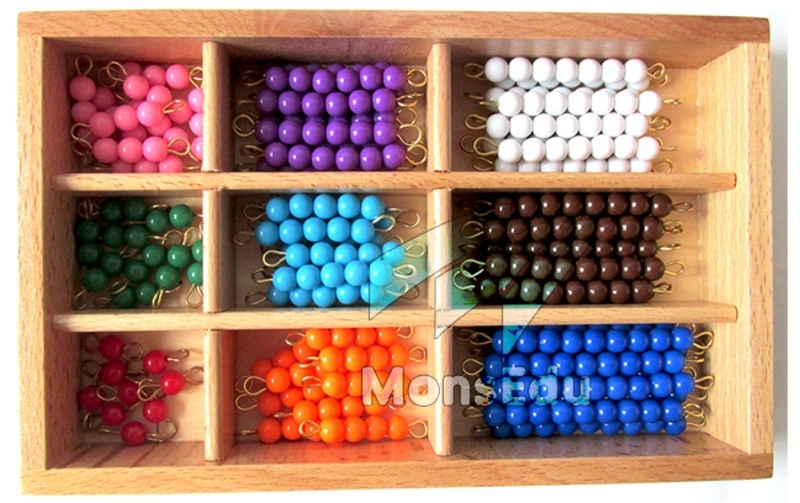 A set of coloured bead bars ranging from 1-9 beads threaded on copper wire. Each colours has 9 bars. Total of 81 bars in a wooden box.